SALE ALERT! ECS Brake Packages featuring Hawk Pads up to 20% off! From NOW until April 14th, 2018 SAVE up to 20% on ECS Brake Packages featuring Hawk Pads! Click HERE for your Audi ECS Brake Packages featuring Hawk Pads! 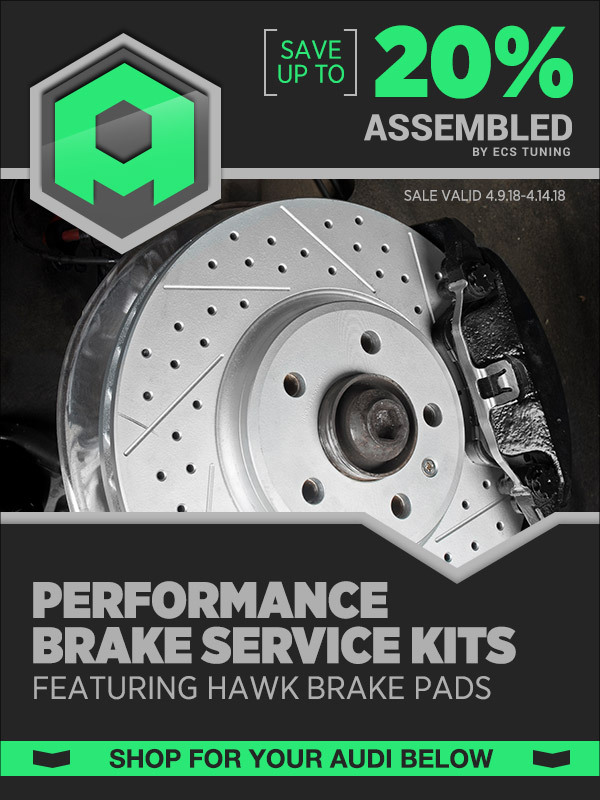 Click HERE for your Audi ECS Brake Repair Packages featuring Hawk Pads! Click HERE for your Audi ECS Brake Performance Upgrades featuring Hawk Pads! This deal isn't going to last forever! Get a break on your brakes now! Quick Reply: SALE ALERT! ECS Brake Packages featuring Hawk Pads up to 20% off!